Organizing your home feels great. Often, items you simply can’t find a place for end up piled in the basement and garage. 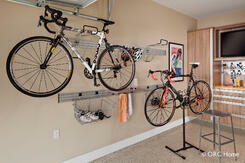 When the weather is nice, it’s easy to ignore the disorganized mess in your garage by simply keeping the door closed. However, winter’s snow and ice will have you longing for a clear, sheltered area to park your car. Fortunately, organizing your garage doesn’t have to be a hassle. With a few simple steps and some innovative storage solutions, you will be finished with early-morning ice scraping forever. 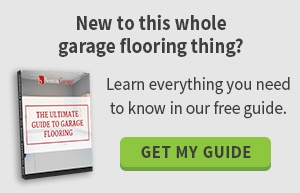 At first glance, getting your garage organized can seem overwhelming. The secret is to break the project into smaller tasks. Begin by looking around to get a better sense of the types of things you are storing. This helps to create categories for easier sorting. Don’t worry about listing all of your categories right away. Your initial list can always be updated as you come across buried treasures. Next, clear out some space to serve as your sorting area, then create an imaginary grid that divides your garage into sections. If you prefer a visual reminder of the sections, feel free to mark them off with masking tape or painter’s tape. This process takes the stress out of your organization project because you can sort one section at a time. You will feel a sense of accomplishment as you complete each section. Start sorting your possessions into piles, including giveaways, throwaways and hazardous waste. The area you cleared earlier will hold the sorted items. Work on one section at a time and group like items together. For example, tools belong in one pile and sporting equipment in another. If the process begins to feel tedious, be sure to take a break between sections. Once you have established which objects will stay and which will go, take the giveaways, throwaways and hazardous waste to appropriate disposal sites or arrange for pickup. Do this right away, or you risk revisiting your “go” piles and pulling things back out – a surefire way to undo all of your hard work. Sorting the disorganized mess in your garage and disposing of unwanted items is the most difficult part of this process. Once you have finished those tasks, it is smooth sailing. Now, you can examine your space and begin to plan for storage. Most people elect to install heavy-duty garage storage cabinets that can withstand a bit of extra wear and tear. Garage cabinet professionals recommend commercial grade materials for this area, which are customizable for your needs. Choose the size and color of your cabinets to complement the space, offering secure storage solutions for all of your things. Clear plastic organizers get items off of the floor while still allowing you to view the contents. 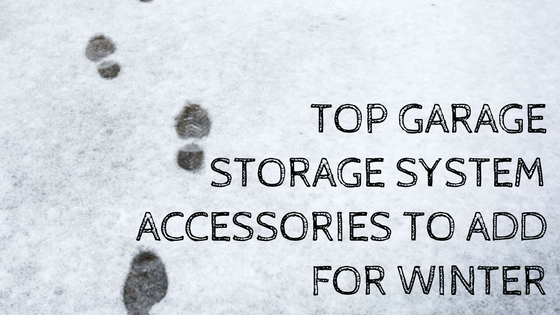 Your possessions are protected from the snow that blows or seeps into your garage. That means you don’t have to worry about water damage no matter how bad the weather is. These hooks attach to the Silver Track System securely, so you can hang large items and equipment directly on the wall. No need to prop rakes and brooms against the wall, and your tools will have some space to breathe instead of being piled on top of each other. Smaller items may not need an entire heavy-duty hook to themselves, so basket hooks give you a place to keep these things together. They will stay organized when you keep them in their own basket, and you have greater visibility than you would with tubs and drawers. Though winter isn’t a great time for riding, it is important to keep your bike in a safe place so it is ready to go when spring returns. Leaning it against other heavy things risks dents and damage if something falls, making the Silver Track Bike Hook a perfect solution. These racks offer a place to keep hand tools organized. They remain easily accessible, which is great when a small job crops up. These hooks make it possible to store a wide variety of tools and sporting goods. Magnetic power changes storage forever, as you no longer have to carefully hang each thing. As long as it is metal, it will stick to the bar, so clean up is faster than ever. If you are committed to planning a perfect storage strategy that makes the most of the available accessories and maximizes your space, consider consulting a professional. These specialists ensure you get the greatest value and the most organized garage possible. Don’t let the winter weather damage your possessions. High-quality garage storage keeps everything safe so that your tools and sporting equipment will be ready to go in the spring. Contact us today to learn more!